Turkey bombs Kurds: ISIS fight triggers secondary violence. Kurds at a funeral in Turkey for women who died fighting ISIS in Syria. Hurriyet newspaper’s website said Turkish warplanes had hit PKK targets in Turkey on Sunday, the first such strikes since a peace process began in Turkey two years ago. 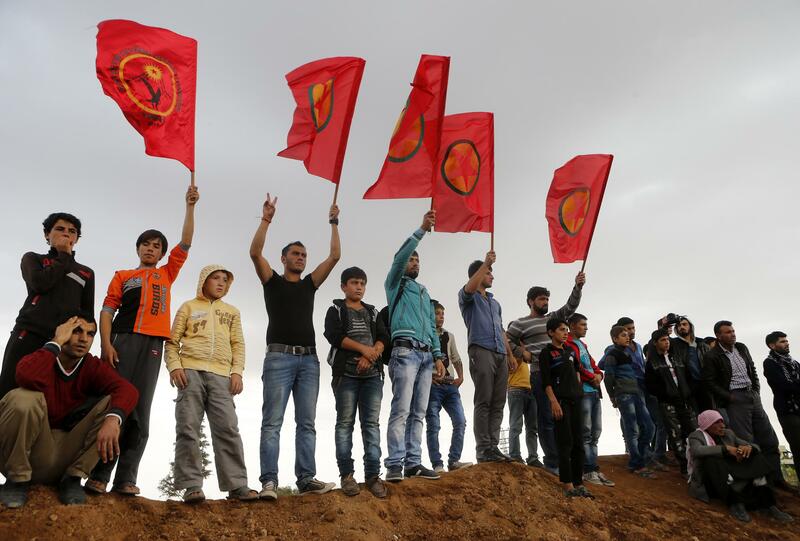 The strikes were also reported by media sympathetic to the PKK. Turkey’s conflict with its Kurdish population is long-running, and while the country has accepted refugees fleeing ISIS’s attack on the city of Kobani—which is just over the border in Syria—it refuses to allow Kurdish fighters to cross the other way. Turkey has held to the position that it will not join the coalition fighting ISIS unless the coalition also attacks the forces of Syrian strongman Bashar al-Assad.